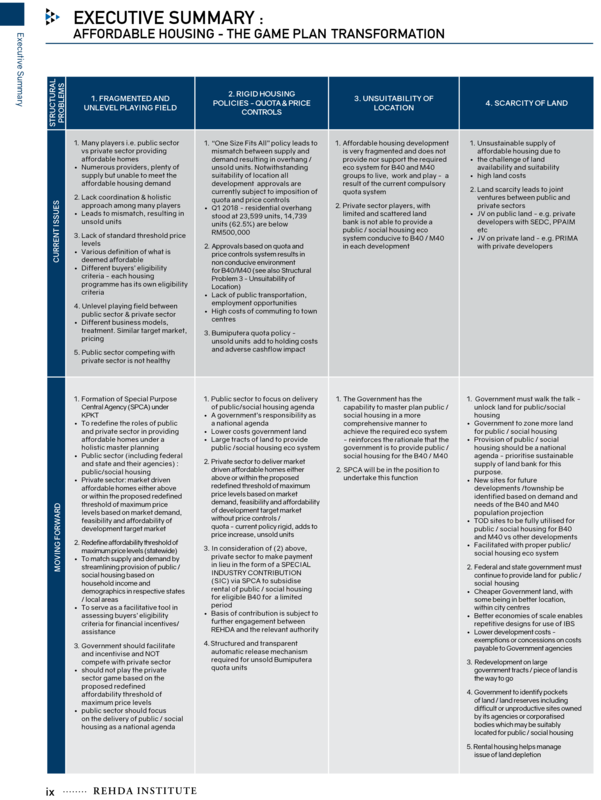 Launched in September 2018, this research report is the latest and one of the most authoritative compilation of practical implementable ideas from around the world, including with various industry stakeholders, which ideas, if implemented, will change the game plan for how affordable housing is developed in Malaysia. 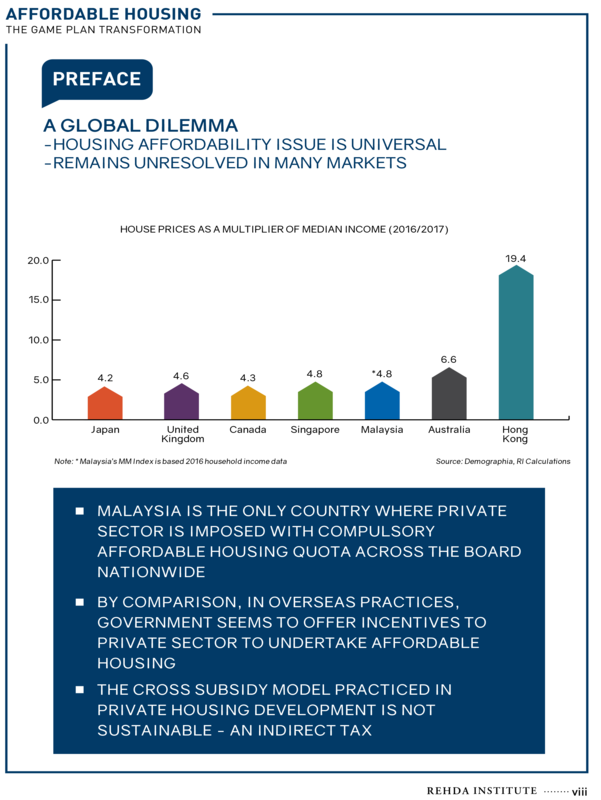 The issue of housing affordability is a universal conundrum with Malaysia being no exception to this perennial challenge. 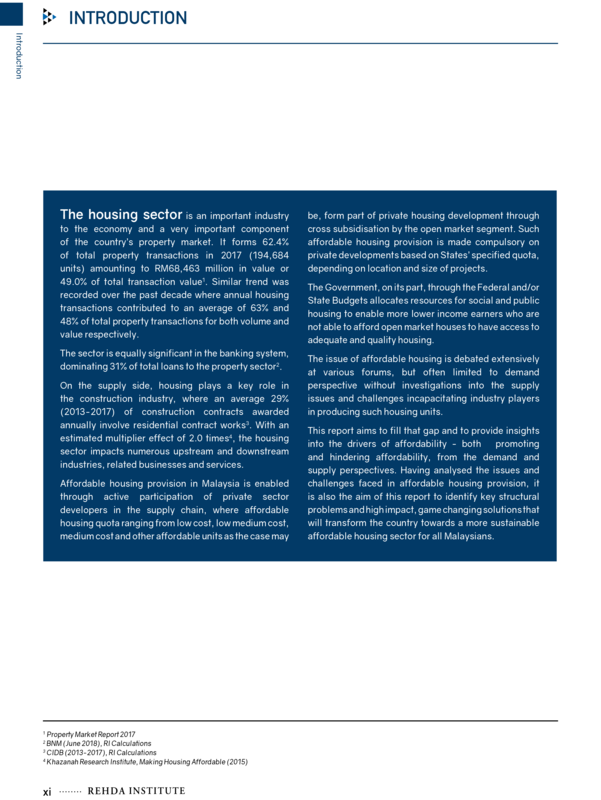 However, with the inevitable rising cost of living and house prices, the struggle to find housing solutions which are affordable and provides conducive living environment has aggressively distress many rakyat especially those who aspire to own their first home in the B40 and M40 category. 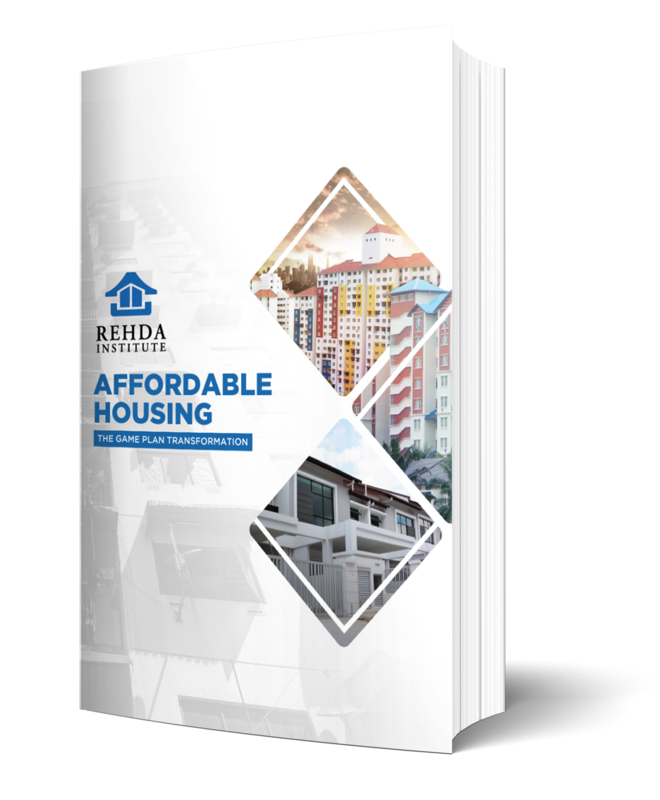 Against this backdrop and adopting a holistic approach, REHDA Institute has recently published it inaugural research report on “Affordable Housing – The Game Plan Transformation” that delved further to re-examine pertinent factors promoting and hindering affordability, from the demand and supply perspectives. 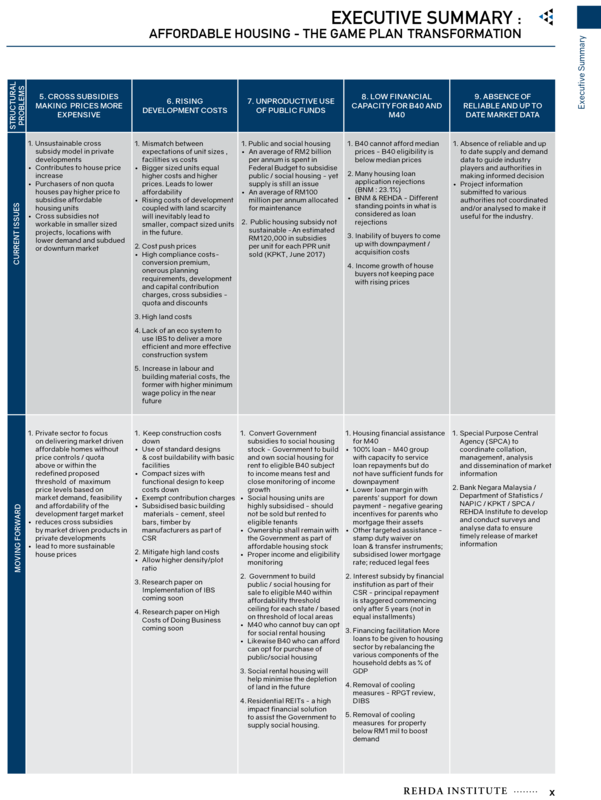 With the identification of nine structural problems, transformational, game changing solutions are recommended in the report to drive the country towards a more sustainable affordable housing sector for all Malaysians. Most stakeholders including the authorities have already requested and received a copy of this report. GRAB YOUR COPY NOW WHILST STOCKS LASTS.